All orders are shipped Monday through Friday. The Shipping cut-off time is 1 pm CST. Orders placed after 3 pm CST will be processed the next business day. All orders must be authorized and verified before being shipped and are processed within 1-2 business days. Once you have the tracking number please allow time for it to enter the carrier’s system and update. Orders over $35 qualify for free shipping (Retail and professional accounts). Elegance partners and salon/barbershop owners get free shipping on orders over $100. 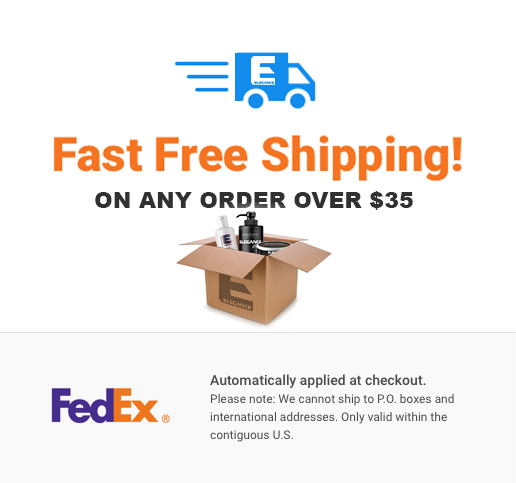 Free shipping promotions are available on domestic shipments within the Contiguous United States only (48 states and the District of Columbia). Standard shipping time for international orders is 6-10 business days, once the item has been shipped. Orders shipped outside of the United States may be subject to import taxes, customs duties or fees levied by the destination country. The recipient of an international shipment may be subject to such import taxes, customs duties, and fees, which are levied once a shipment reaches the recipient's country. Additional charges for customs clearance must be fulfilled by the recipient. Customs policies vary widely from country to country; you should contact your local customs office for more information. When customs clearance procedures are required, it can cause delays beyond our original delivery estimates.